Hostgator started its journey back in 2002. Brent Oxley is the founder of this web hosting company. When he started with Hostgator, he was the one and only employee. But within few years, it has become a company of more than hundred people. In 2008, Hostgator was ranked 21st on INC. 5000 Fastest Growing Company. In 2012, Brent sold Hostgator to Endurance International Group (EIG) which is the owner of many web hosting brands. Hostgator is a large web hosting company with over 90% customer satisfaction and 12,000 servers under management. At present, it hosts almost nine million domains. Thanks to the unquestionable quality of their plans has maintained throughout its 20+ years of existence Hostgator has become one of the top 10 web hosting companies worldwide and is recommended in a lot of niche sites as one of the companies that provides one of the best web hosting solutions for both web sites small and large businesses. HostGator began to provide its website hosting services within Houston, Texas, USA before it started to provide its services to the rest of the world. HostGator has actually grown from being a small business with only 3 servers into a one of the world’s top website hosting provider with over 12,000 servers. This company hosts more than 2 million domains that make up about one percent (1%) of the planet’s internet traffic. HostGator meets every standard of US Better Business Bureau membership and all BBB OnLine participation. HostGator is world class provider of shared website hosting, virtual private servers (VPS) & dedicated website hosting services. Shared hosting plans are suitable for small businesses and personal sites that do not use too many resources or need a large storage space. Virtual private servers increase the capacities of shared hosting and are aimed at small and medium businesses that require more space, bandwidth and resources. Dedicated hosting offers total control and unlimited resources making it perfect for large corporations and established businesses that witness high traffic influx and require large amounts of resources. The basic starting plan costs about $3.96 per month and there is a 45-day money back guarantee that allows users to demand full refund incase they do not get impressed. HostGator Linux website hosting package (Unlimited, VPS, Reseller, Dedicated) are plans powered by cPanel control panel and Windows website hosting plans (VPS, Windows, Windows dedicated hosting) are powered by Plesk website hosting control panel. Hostgator costs more than a budget hosting company, however, the plans are flexible enough for anyone to afford. HostGator offers monthly plans, however, to get the cheaper prices, you need to sign up to the longer annual plans (1-3 years). Easy & Flexible Software – VPS hosting service from Hostgator allows you to install cutting edge software via cPanel control panel. You are also assured of a redundant network that has numerous network security layers, free website builder, MySQL, domain as well as script transfer. Root Access – HostGator VPS has a full root access that makes it possible to install more sophisticated software to customize it. Personalize anything much like dedicated server minus the usual high cost of dedicated hosting. Now with an attractive 75% OFF for new customer for 1 year. Hostgator allows unlimited storage on their hard drives. As do most web hosting companies to hire Hostgator can store an unlimited amount of data on their hard drives. This feature is especially useful if your site already has some life and within their sections include a forum, a blog, or some other script that collects information over time. Hostgator allows unlimited data transfer. This is ideal for those sites that have a large number of views each day or those who upload a lot of pictures and files to host. Hostgator allows you to host unlimited domains. This feature is especially useful if you want to start a blog network or a network of sites to sell products. But keep in mind that if you own a blog network or sites with high traffic perhaps you should consider other options for optimally serve their needs. Hostgator allows you to create unlimited email accounts. This feature is ideal for those wishing to provide corporate portals to each of its members a personalized email. In addition to these important features all web hosting plans include Hostgator SSH Access, SSL, FTP, Stats CGI, Ruby, PHP, MySQL, Front page extensions and free site builder. One of the first to introduce one-click WordPress installation features to allow quick website building and content management. Users do not need to separately download WordPress which by far the best content management system available in the market. The company frequently upgrades the feature to ensure users get the latest and most efficient version. The HostGator hosting packages also come with a FREE SiteStudio site building tools, website builder tools, and more than 4000+ website templates FREE! HostGator offers Eco-friendly green website hosting service – this is good news for those who are highly passionate about the environment. Which Control Panel does Hostgator use? In Hostgator, they use a customized version of cPanel control panel that you would just leave both amazed by the elegance of its design and how easy it is to each of its features. All hosting packages of Hostgator come with Spam Assassin, which is a powerful and efficient spam protection tool. They also offer free malware protection tool and SSL with some hosting plans. Uptime is the total time that your hosted pages will be up and running or available for viewing by other web users. A 99.9% uptime guarantee means your site will be on 99.9% of the time with a small 1% leftover for refreshing and maintaining servers. This is the highest uptime achievable by the ultimate best web hosting services and Hostgator is one such company. HostGator has 2 Datacenters in the USA only. HostGator.com claims to use world-class data centers with state of the art power, cooling, safety and security systems. The HostGator centers feature HVAC, redundant power, and fire detection safety systems, and are supervised 24 hours a day and 7 days a week. The HostGator Customer Service is 24/7 so you can contact them via email, ticket or phone whenever necessary. How is HostGator it different from other web hosting companies. Hostgator technical support is trained and expert in their job. They are able to correct minor issues in minutes. Minor issues constitute errors that are common and well known and happen by almost any customer. Major issues are the ones that are problematic. They are generally issues with the servers and that requires advanced troubleshooting skills. Hostgator technical team ensures that there are no outages by managing all the major issues effectively. Issues are faced by almost any company, it is how they manage them that makes the difference. Hostgator technical support is very prompt. They are equally ready to help at the night or the day. This is a good attribute. Some of the web hosting companies respond late and their online chat services may have large latency times. The queues are long and there is not enough uplink for the chat server. Not the case with Hostgator. You can get connected to a support personnel in quick time and the online chat displays the estimated wait time. They are informative. Hostgator support team pride in informing and educating the customers, those who are well versed in server technology and those that are not. This reduces their workload because next time if the problem occurs, the customer will be able to get rid of the error himself or herself. Plus it also gives the customer useful knowledge. Hostgator support works on ticket system, which is a highly effective of managing support. Every problem that needs attention receives a ticket ID and is referenced and searched using that ticket ID. Hostgator support automatically records and sends a copy of the discussion to your email. This ensures transparency in chat so that the customer can bring it out of his or her email and use it as a proof against the company. This ensures that the technical and other support teams work to the mark. Their support has a lot of people so they quickly transfer the question to someone who is an expert in that field– whether it involves HTTP error codes, backups, database, transfer of web hosting from some other company to Hostgator etc. After testing HostGator, we have identified the most important Pros and Cons. 45 Day Moneyback Guarantee Hostgator offers a 45 Day moneyback Guarantee for new customers. If you want a refund Hostgator will offer a full cashback (minus domain cost). Free Website Transfer If you want to transfer your current domain name & website files to Hostgator, you can use use the Hostgator transfer service. HostGator Website Transfer team will manage the transfer of your old domain name / webstie files within 30 days of signing up. It works with cPanel to cPanel transfer. Instant Backups Free Hostgator Weekly Data Backups – Website, Email & cPanel files. Windows Servers Option Hostgator offers a choice between window or linux based server. This is a rare option. No SSD Drives Hostgator only provide the slower older HDD drives. Other Quality web hosts offer the faster SSD drives. No PHP7 Hostgator only provide the slower PHP 5 engine. Paid SSL Certificate Hostgator does not give a FREE SSL certification. US Servers only Hostgator does provide international data centre option. With Hostgator, you can pay with your Visa, Master Card, American Express, Discover and Paypal. HostGator accepts payment worldwide. As soon as a you pay for HostGator’s web hosting services, you are offered a money-back-guarantee which will last for a period of 45 days. HostGator is a good option for those who want a cheap hosting option. 3.5/5 – Very good. Hostgator offers the money back till 45th day of subscription. 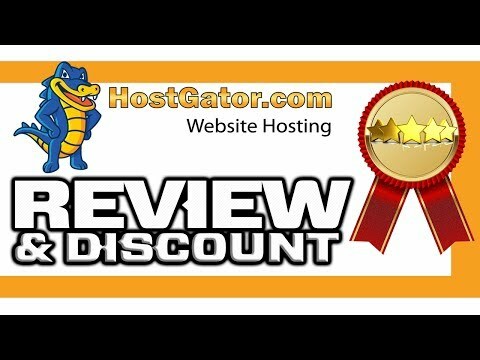 If you are a Hostgator customer, please leave a review below. We will collect all Hostgator reviews (pros and cons) to provide a transparent outlook. Often, I hear my developer friends complain about the problems they encounter with some web hosting sites. Looking at Hostgator, I think its worth trying. However, I’m a bit confused. Does Hostgator truly offer 45 day money back guarantee and instant backups? Considering Hostgator is owned by EIG…. is it not the same as other EIG web hosts like bluehost, ipage etc. If not, then which EIG host is worth getting then? Yes host gator is owned by the large hosting owner EIG. The brands like host gator , blue host share the same back end infrastructure , however the web hosting packages are different. Best to compare and contrast the offering. We personally have had good experience with both services.